Eligibility for membership in this Society is based upon lineal descent from the Emperor Charlemagne. a) The official colors of the Order shall be purple and gold and shall appear on the insignia as may be deemed appropriate. The official ribbon of the Order shall contain the colors of the rainbow, blended and displayed lengthwise. 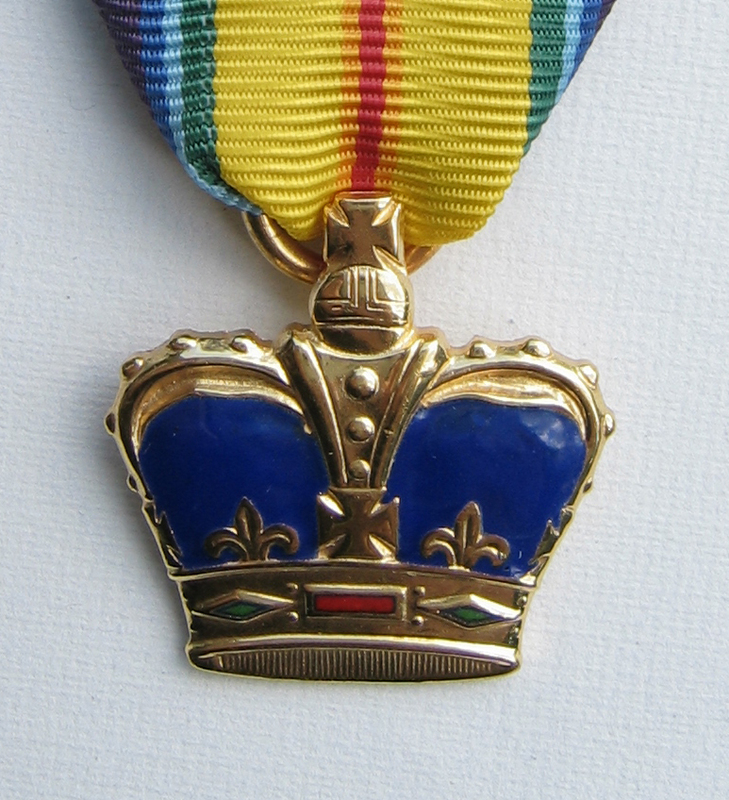 (b) The official insignia shall consist of a formal emblem, displaying the Royal Crown in purple and gold, pendant from the Society's ribbon. (d) The motto of the Order shall be "Noblesse Oblige".